In March of 2017, my family member, Mary Beth Pio, suffered a devastating stroke. She had a hemorrhagic stroke, which means she began bleeding into her brain. Luckily, she was found before it was too late, but she required brain surgery to stop the bleeding. Ultimately, she was paralyzed on the right side of her body. She could not move her right leg, arm or hand. Her speech was also affected; initially she couldn't speak at all, but eventually began learning to speak again. Mary Beth has worked very hard to recover from her stroke. She gets physical therapy three times a week, as well as speech therapy, and acupuncture treatments. The paralysis in her right leg has gradually lessened, but she is not able to walk yet. She requires the use of a wheelchair when she goes to her therapy treatments and medical appointments. Her speech has taken the longest to return and she is limited in her ability to communicate. Her right hand and arm are still paralyzed, but with continued physical therapy, she may be able to use them some time in the future. Mary Beth is primarily bed-bound when she is not at therapy and, as a result, she requires 24 hour caregivers. She currently has caregivers 10 hours/day, four days a week. The rest of the caregiving is done by her family member. However, her family member is unable to work and do all of the caregiving for Mary Beth. It has been a year and five months since Mary Beth had the stroke. She has not been able to work since then. She is currently on disability, but it does not cover the cost of all of her caregiving, therapy, and medical treatments. While Mary Beth has improved a great deal, she still has much more work to do before she can function independently. It is anticipated that she will need caregivers to assist her for at least another year. That's why we've created this gofundme account. 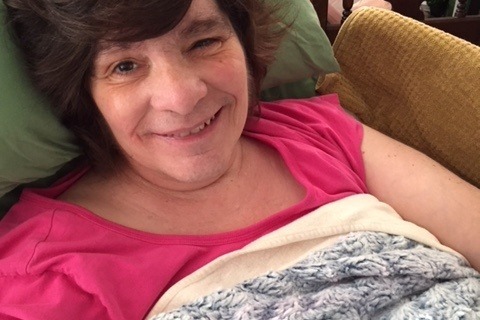 Mary Beth will need enough caregiving and physical therapy to get her through another year. The cost of caregiving and therapy is prohibitive, and Mary Beth has run through most of her savings. Mary Beth requires at least $54,340 to get her through the next year of recovery. Please help Mary Beth improve her chances for an improved recovery, and donate to her gofundme account.